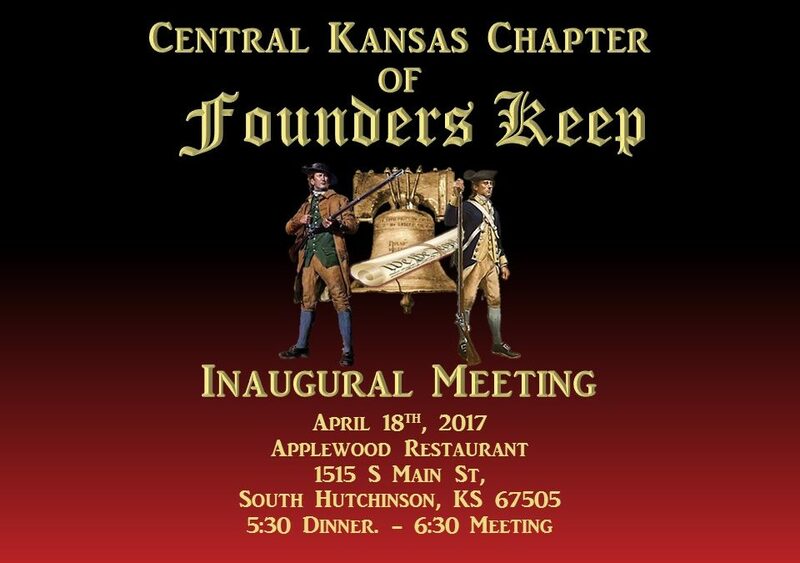 I am very pleased to announce the inaugural meeting of the Central Kansas Chapter or Founders Keep. On Tuesday April 18th I will have the great honor of being present at the first meeting. Michael Murphy has been a member of FK since May of 2015 and will host this event. Michael and I share the same strong feelings for our constitution and know that education is the key to getting our country back on track. Founders Keep has one purpose. We want to pay Liberty forward. 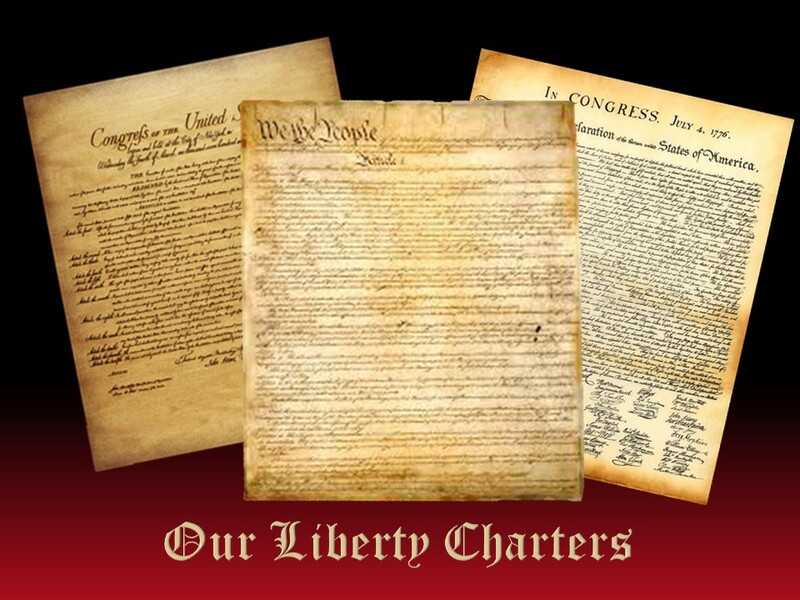 To know the Declaration and Constitution is to understand Liberty and how your government is supposed to work. When 5 people met for the first time in 2012 at a restaurant in Gardner, Kansas to talk about the Founders, not one thought it would grow to what it is today. We didn’t even have a name until about the 3rd or 4th meeting. We just wanted to learn more about the Founders and the government they designed. The first meeting was mainly organizational; We would read certain designated books and certain writings of the founders and discuss it at the subsequent meetings. The discussions were lively and informative. We would highlight certain passages and go around the table to collect thoughts. The last question for everyone at each meeting was; What does the passage have to do with today? What is going on in our government today that is different than what the founders designed? How does it make you feel? What can you do about it? It was an eye opening! One question always led to another. That process has never stopped. There are always more questions. There are blessings and hazards connected to starting such a group. It’s life changing! If you want to remain blissfully ignorant do not start or get involved with this kind of group. It’s almost impossible to join a reading/discussion group like this and remain unchanged. You may in the future find yourself handing out pocket constitutions and asking people if they know their five rights in the First Amendment. The good news is the blessings far outweigh the hazards. the value of sharing the information with your children and grand-children or knowing that something you did or said made a difference to another human being is Immeasurable. I want to encourage all of you to start such a Founders Keep group. It’s simple. Just find four, five or more friends who want to learn more about the founders and our government. Set a time to meet and start reading. Begin with the basics like the Declaration. I remember one memorable meeting we had on George Washington’s Farewell Address. Don’t think you must know a lot about history, that’s what the group is for. Don’t be afraid to ask questions. You do not have to have a degree in history, you just need a desire to learn. As George Washington stated, “The Constitution of the United State, its only keepers, the people.” As a Nation, we must know how our Constitution was born and what our Constitution says in order to be “keepers”. I know Michael Murphy shares my hope that in the near future chapters of Founders Keep chapters will blossom all over this country.